Poll: Should Capital Gains Tax be reduced? Is it time that Capital Gains Tax be reduced or does it bring in much needed funds to the Exchequer? 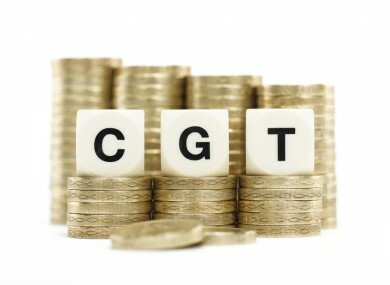 IRELAND IS JUST behind France at the back of the European pack of highest Capital Gains Tax (CGT) chargers, writes Aaron McKenna in his column this week, stating that CGT is a disincentive to invest and create jobs, plain and simple. He writes that Capital Gains Tax has gone up four times since 2008, from 20 per cent to 33 per cent and it brought in €369 million of the total €37.8 billion the State collected in tax last year. Competitor countries of ours like The Netherlands, whom the IDA would identify as a key challenger for foreign investment, charge no CGT. In today’s poll, we want to know: Is it time that Capital Gains Tax be reduced? Email “Poll: Should Capital Gains Tax be reduced? ”. Feedback on “Poll: Should Capital Gains Tax be reduced? ”.